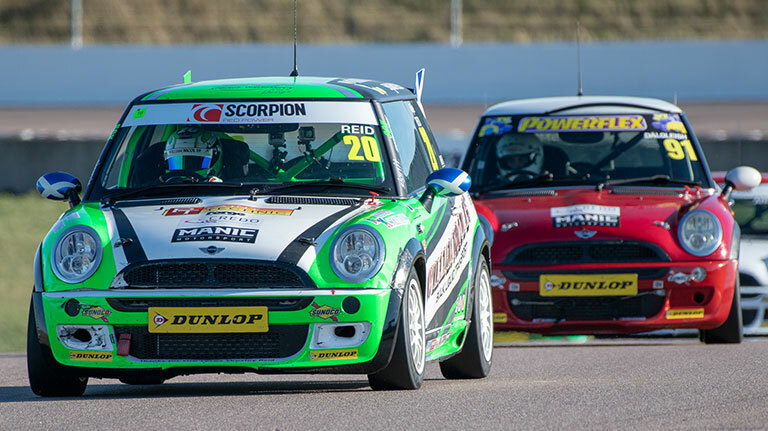 Cooper Pro champion Kyle Reid’s next race outing will come at Daytona International Speedway in January after the Scotsman became the second MINI CHALLENGE racer to win the prestigious Sunoco 240 Challenge contest. 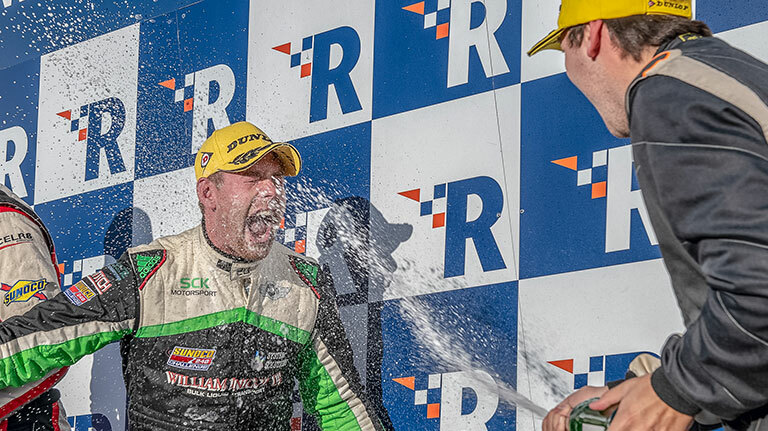 Reid has enjoyed a dominant campaign in the Cooper Pro category this year, claiming an astounding 12 race wins from the 17 rounds aboard his SCK Motorsport-run machine. The 29-year-old’s results have had the dual effect of meaning he has led the Sunoco Challenge – a virtual championship contest that awards drivers from qualifying championships running on Sunoco fuels points based on race results, fastest laps and pole positions – from the start of the year. 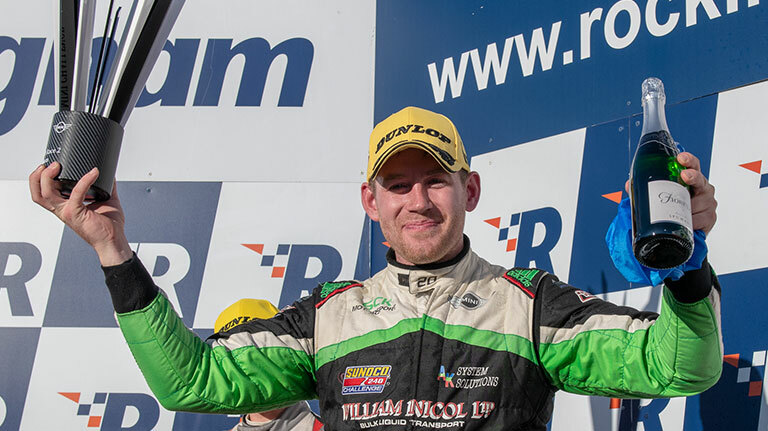 He was confirmed champion of both the CHALLENGE Cooper PRO Class and the 240 Challenge during the recent season finale at Rockingham. Reid will follow in the wheeltracks of 2016 Cooper champion Max Bladon and will receive a fully funded seat in a GT4 sportscar for the four-hour Michelin Pilot Sport race that runs in support of the Rolex 24 Hours of Daytona. While Bladon tackled the event in an Aston Martin Vantage two years ago, Reid’s model of car and team has yet to be decided. Reid said: “I’m speechless; I mean this sort of thing just doesn’t happen to a lad from the Highlands who races a Mini! Obviously, I’ve been keeping tabs on the 240 Challenge and knew I had a good chance but it’s not something you think about during a weekend when the primary focus is on winning races and the championship, which we managed to do at Rockingham. So, to get the call from Anders [Hildebrand, Sunoco head] saying I’m going to Daytona, well, that’s just incredible! “Sure, it’s a big step, but Max proved that it needn’t be too daunting. Daytona is an incredible race circuit that not many Europeans ever get a chance to compete on. It’s beyond my wildest expectations!